at the BAFTA award ceremony. 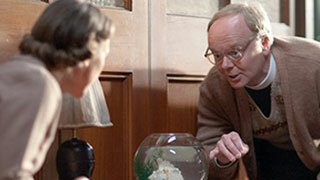 In 2002, actor Jason Watkins, who appears as Constable Patterson in Lark Rise to Candleford, was recognized locally with a Helen Hayes Best Actor award for his work in A Servant to Two Masters; a joint production of the Royal Shakespeare Company and the Young Vic Theatre Company presented at the Kennedy Center. A couple of weeks ago he got to step up to the award podium again, this time in his own country, to collect a Best Leading Actor award from the British Academy of Film and Television. 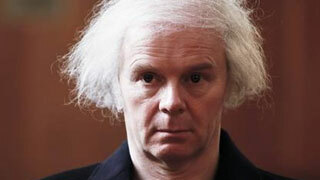 Watkins garnered the award for his portrayal of a retired Bristol schoolteacher and landlord, Christopher Jefferies, who was arrested on suspicion of murdering his lodger Joanna Yeates. Despite the fact that someone else confessed to the crime, Jefferies was vilified by the UK tabloids, mainly because of his eccentric appearance and mannerisms, which Watkins captured to a tee in the two part drama, The Lost Honour of Christopher Jefferies. 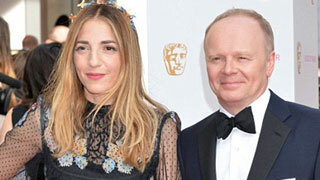 Watkins’ acceptance speech at the BAFTA ceremony brought tears to the eyes of many of those watching as he dedicated his performance to his daughter Maude, who died on New Year’s Day 2011 at the age of two. In a post-award interview, Watkins discussed how his work had “gained added purpose”. 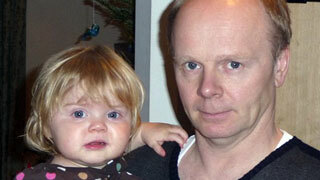 "The grief is so all-consuming”, said the 51-year-old actor, “you can barely begin to parent the children you do have. You don't believe you will recover, but somehow you do; the trauma heals but the loss never does." To help them cope with their tragic loss, Watkins and his wife Clara Francis turned to SLOW (Surviving the Loss of Your World), an organization in North London where bereaved parents gather in an informal setting. As well as being an advocate for SLOW, Watkins is also a campaigner for flu vaccinations for toddlers. It was during the 2010/11 winter flu epidemic that little Maude died after developing septis; a condition that two hospital visits failed to diagnose. Watkins and his wife have since had another child, a little brother to their eight year old daughter. Watkins also has two teenage sons from an earlier marriage. As the Rev. Applebee Thornton in Call the Midwife. As well as Lark Rise to Candleford, you might also have seen Watkins in Series 2 of Call the Midwife, where he appeared as Reverend Applebee Thornton. A new addition to the cast of the current season of Call the Midwife, which just concluded, is Linda Bassett, who also stars as village matriarch Queenie Turrill in Lark Rise. We’ll have more on the actress next week. In the meantime, you can see Lark Rise to Candleford weekday afternoons at 4:30pm on Afternoon Tea.